Riggz was a fun project to work on. The subject matter called for a graphic, energetic look with bold colors and an edgy feel. The site itself is fairly straightforward, but takes advantage of web fonts from Kernest to carry the look established by the logo through the rest of the page. 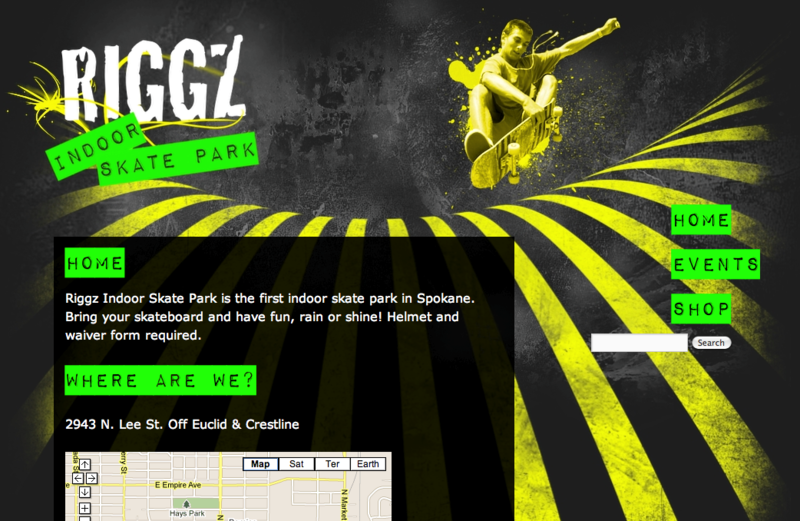 The site is built on WordPress, using the WP e-Commerce plugin to provide a way for the skate park owner to list products available in the park’s skate shop. Shopping cart and checkout functionality have been removed, as the client only wanted to provide a list, rather than a full shopping experience.